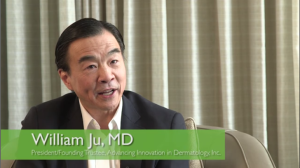 At a recent American Academy of Dermatology conference, AID president Dr. William Ju sat down with Practical Dermatology to share his thoughts and insights for a series of videos for DermTube. Check them out! We’re grateful to Dr. Ju and Advancing Innovation in Dermatology for all that they do! It’s an honor to work with such forward-thinking clients in many medical fields.